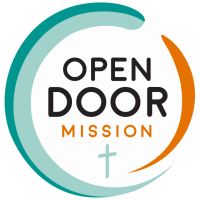 Open Door Mission announced the addition of two new Directors to its Board, Andrea Palmer and Jeffrey Purner. The Glens Falls nonprofit exists to serve people at their point of need, cultivating personal growth and community sustainability. Their comprehensive programs provide practical solutions, to physical, spiritual, and relational brokenness which is modeled through their faith in Jesus. Other current board members include: Jeffrey Leland, Board Chair; Steve Noftle, Vice Chair; Chris Hunsinger, Treasurer; Bradley Krause, Esq, Secretary; Mary Gooden; and Pamela Cleveland, CPA MAF. Andrea Palmer lives in Queensbury and is married to Steven Palmer. Between them they have 4 children, ranging in age from 12 to 20 years old. Andrea is the Regional Northern Assistant Manager for Glens Falls National Bank. A 2015 graduate of ARCC Leadership Adirondack, she is active in the community and is an Adirondack Regional Chamber of Commerce Ambassador. She serves as an IRS Certified Tax Preparer and Certified HSA Specialist with VITA (Volunteer Income Tax Assistance) through Tri-County United Way. Andrea has volunteered with the Open Door Mission since 2012 in numerous areas including Code Blue and the Emergency Shelter. Open Door honored her with their 2018 Volunteer of the Year Award. Jeff is a National Account Manager with Medtronic, plc a global leader in healthcare solutions. Jeff manages national payer relationships and is responsible for over $200 million in payer revenue. He spent the last 17 years in healthcare, starting out as a sales representative and progressively advancing his career to include people leadership to his current role. A graduate of The American University in Washington, D.C., Jeff received his BA in Political Science and began his career on Capitol Hill working for longtime, local Congressman Gerald B. Solomon. While working for Congressman Solomon, Jeff obtained his Master of Business Administration from Rensselaer Polytechnic Institute in Troy, NY where he graduated from RPI’s Executive MBA program. Jeff and his wife Nicole live in Glens Falls where they’ve raised their three children, Adair, Hunter and Lily. Jeff also serves as the Chairman of the Glens Falls Zoning Board of Appeals.